The cross-jurisdictional and cross-disciplinary nature of real property law makes it both a difficult and lucrative area of practice. Individual provincial statutes, combined with a large body of common law, further amplify the complexity of this intricate area. 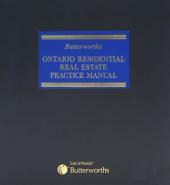 Halsbury's Laws of Canada – Real Property (2016 Reissue) is a comprehensive statement of real property law in every province and territory throughout Canada. 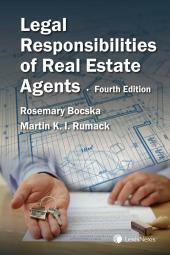 Covering key topics and emerging issues in property transactions, this volume is an essential resource for all real estate lawyers, real estate law professors and students, and any lawyer whose practice intersects with real property interests. Jeffrey Lem, B.Comm., J.D., LL.M. is the Director of Titles for the Province of Ontario. He was called to the Ontario Bar in 1989 and admitted to the rolls as a solicitor in England and Wales in 2000. He has expertise in a broad range of sophisticated commercial real estate matters and has participated in the acquisition, disposition, leasing, development and financing of numerous major real estate projects and portfolios in Canada and abroad. He was the first Canadian lawyer admitted as a fellow to the American College of Mortgage Attorneys, and was also that organization's first Canadian regent. He is certified as a Specialist in Real Estate Law by the Law Society of Upper Canada, has received Martindale-Hubbell's highest rating (AV®), and has been recognized in the real estate field in The Canadian Legal LEXPERT Directory, The Lexpert/American Lawyer Guide to the Leading 500 Lawyers in Canada, The Best Lawyers in Canada, Chambers Global Guide to the World's Leading Lawyers for Business and Leaders in their Field, and The International Who's Who of Real Estate Lawyers. He was a long-standing member of the Executive Committee of the Real Property Section of the Ontario Bar Association. He was an instructor in the real property section of the Ontario Bar Admission Course and is the Director of the Osgoode Hall Law School LL.M. Program in Real Estate Law. He is asked to speak regularly on various topics of interest for a number of different continuing legal education organizations. He is the Editor-in-Chief of the Real Property Reports, Canada's national law reporter on real estate, and remains a prolific writer for various legal journals and magazines, with regular real estate law columns in Law Times and Building Magazine. He also co-authored the Halsbury's Laws of Canada – Expropriation title. He is the proud recipient of the Ontario Bar Association's Award of Excellence in Real Estate, the Toronto Lawyers Association's Honsberger Award for dedication to the legal profession, and the Federation of Asian Canadian Lawyer's Lifetime Achievement Award. He also serves the broader legal community as an elected Bencher of the Law Society of Upper Canada.